The Orka Garden Apartments rest about 4 km from the beach in the popular summer resort of Ovacik on the beautiful Turkish Riviera. 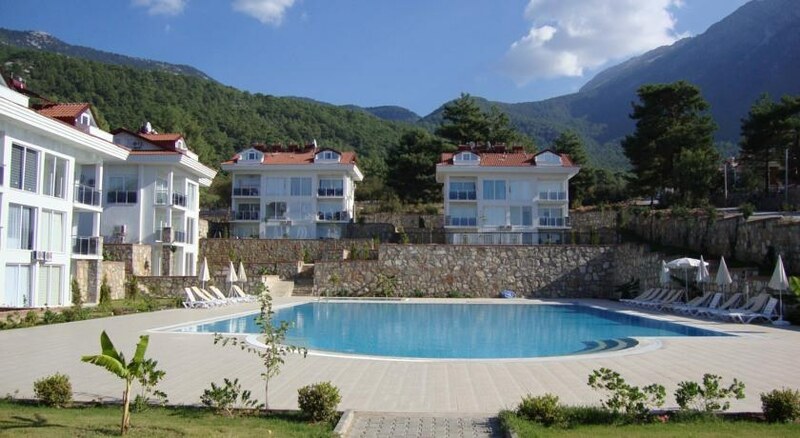 Only 1.5 km from Hisaronu village and 4 km from Oludeniz, this charming 3 Star complex is situated in a peaceful location surrounded by the dramatic background of the Babadag Mountain, and features 29 Two-Bedroom Duplex Apartments, all with essential amenities and pleasant balcony views. Guests to the Orka Garden Apartments can relax by the shared swimming pool, discover marvellous beaches, practice paragliding above the ancient cedar forests of Babadag, and experience real Turkish hospitality. 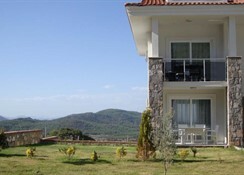 Dalaman Airport is 65 km from the Orka Garden Apartments. Local Tips: Nearby Fethiye offers plenty of boat trips up and down the coastline, with popular trips including the Twelve Islands and the village of Gocek. Please note rates are not valid for Turkish and Russian market. 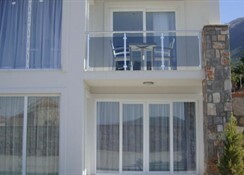 Dining: The Hotel is booked as Self Catering accommodation. 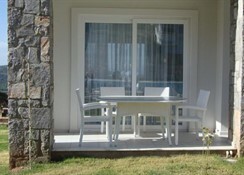 The Orka Garden Apartments are 500 m from well-stocked supermarkets and there are plenty of restaurants nearby. 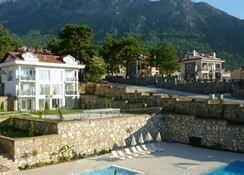 The nearest disco in Hisaronu is just 1.5km from the complex. 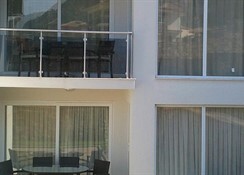 Activities: The complex has a shared swimming pool and the beach is 4 km from the hotel. Additional: Extra sheet and towel service is available. Parking on-site. The Orka Garden Apartments features 29 two-bedroom Duplex Apartments with air conditioner, bathroom facilities, and a kitchen with oven, washing machine, cooker, kettle, toaster and refrigerator. The living area has a sofa and TV with DVD player, and other amenities include and iron and ironing board, clothes hanger, dining table, and a balcony. Please note the fifth bed for a child is located in the lounge area.